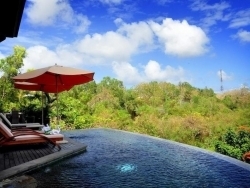 This beautiful 3-bedroom private property is located in the area of Jimbaran. The villa is part of a villas complex offering the privacy of your own villa and the resort facilities. 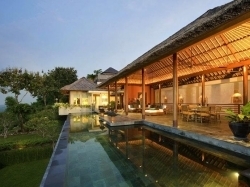 This beautiful 4-bedroom private property is located in the area of Jimbaran. The villa is part of a villas complex offering the privacy of your own villa and the resort facilities. As peaceful as it is, this 6 bedrooms may feel very far away from the madding crowd and crazy tourist hustle that can characterise a trip to the likes of Kuta and Seminyak. Should you wish to immerse yourself in the various wonders of Bali. 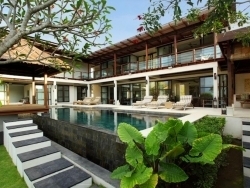 This luxurious 4 bedroom villa is located on a hill overlooking the seaside village of Jimbaran and is just a short drive from the calm and safe white-sand beaches of Jimbaran Bay. Perched high on the hillside with sweeping ocean views, this 4 bedroom villa is perfectly positioned for families and friends wishing to explore the stunning surf beaches and wild landscape of Bali’s Bukit Peninsula.